FRENCH POLYNESIA IS THE IDEAL RETREAT TO CELEBRATE YOUR ROMANCE : Crystal lagoons, protected nature, exquisite sceneries and white sand beaches. One of the most inspiring and unforgettable destinations for lovers. A subtle alliance of exotic romance tinted by French elegance. A world of delicacy where the perfect « cousu-main » experience is the ultimate signature ! 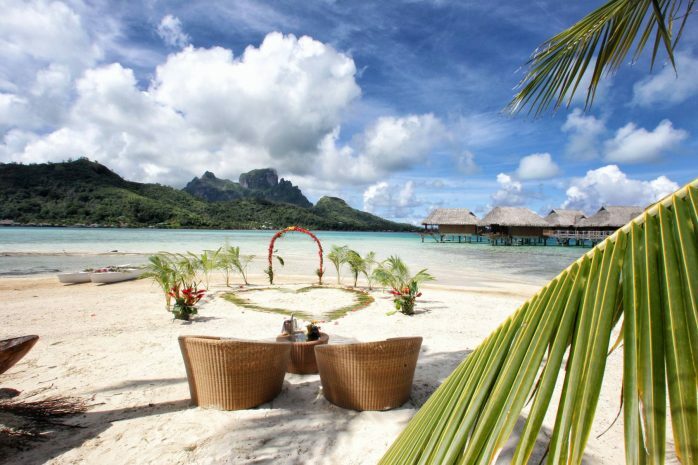 SAY YES AT BORA BORA !